Take the stress out of itinerary planning in Hanoi with this small-group sightseeing tour. 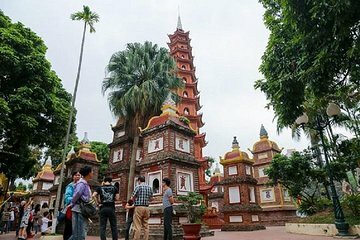 Ditch the guesswork and let a guide lead you to highlights such as Tran Quoc Pagoda, One Pillar Pagoda, Ho Chi Minh Mausoleum, and the Vietnam Museum of Ethnology. This half-day tour is ideal for those with limited time. Lunch and transport are included.